We provide expertise SEO services for Coventry businesses. 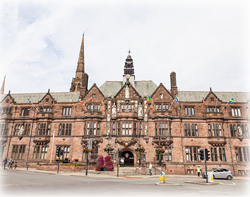 At Specialist SEO we understand the importance of local customers, that’s why we provide specific search engine optimisation services for Coventry and the areas nearby. Our services start with the onsite optimisation of your website to ensure that it is well structured and within Google’s webmaster guidelines. We then continue a lot of the work off your website, making sure your website is associated with relevant and trusted websites, this is done on a monthly basis and increases your websites ranking position on Google and other search engines. When your website starts ranking well within Google that’s when the enquiries will come flying in, that’s because in the modern day customers don’t look anywhere else for services, the usage of books like the yellow pages and newsletters has decreased and will continue to decrease with the use of the internet. This keyword stats above mean that the city is a highly searched for term and depending on your budget might be worth adding additional areas to push your Coventry SEO campaign even further. If you are serious about bringing in new leads, depending on what your business does you may consider some of the other areas nearby. We find that some of the additional areas for success include Kenilworth, Leamington Spa, Nuneaton, Hinckley and Rugby. If you provide a profitable service where travel is not an issue you could also look at Leicester and Birmingham depending on budget. Search engine optimisation on your website or a new one? Whilst we are primarily an SEO company we also provide SEO web design services, a process whereby we create your website with SEO in mind. The benefit of our company designing your website is that we can optimise it for conversions for the keywords you want to target, although if you have an existing website, don’t worry, one of our SEO consultants can implement the onsite SEO settings onto this if required.